William was born in Chasetown, the son of James and Martha Kelly of Queen Street, Chasetown, his father being a railway wagon builder. A boot repairer, William enlisted in the Army at Lichfield. He was seriously injured when the brakes on the wagon he was travelling in failed. Removed to the 32nd Casualty Clearing Station he succumbed to his injuries. United Kingdom Private 21619South Wales Borderers27/06/1918 C. 34. United Kingdom Private 42338Gloucestershire Regiment06/06/1918 Age: 20 A. 19. United Kingdom Private 64562Cheshire Regiment07/06/1918 Age: 19 C. 44. United Kingdom Private 235325King's Own Yorkshire Light Infantry05/08/1918 Age: 34 C. 10. United Kingdom Private 40950South Wales Borderers02/06/1918 Age: 27 A. 17. United Kingdom Second Lieutenant King's Own Yorkshire Light Infantry21/07/1918 Age: 32 B. 33. United Kingdom Private 38413Northumberland Fusiliers12/06/1918 Age: 21 C. 26. United Kingdom Private 43338Royal Warwickshire Regiment18/06/1918 Age: 19 B. 15. United Kingdom Private 32347Devonshire Regiment30/07/1918 C. 2. United Kingdom Private S/9085Black Watch (Royal Highlanders)22/07/1918 Age: 31 B. 37. United Kingdom Private 10862Cheshire Regiment21/06/1918 B. 38. United Kingdom Private 35661Yorkshire Regiment13/06/1918 Age: 21 A. 8. United Kingdom Private 75836Northumberland Fusiliers08/06/1918 Age: 18 B. 41. United Kingdom Private 29883Hampshire Regiment25/07/1918 Age: 20 A. 35. United Kingdom Lance Corporal 305527West Yorkshire Regiment (Prince of Wales's Own)22/07/1918 Age: 23 A. 4. United Kingdom Driver 635053Royal Field Artillery25/07/1918 Age: 24 B. 8. United Kingdom Private 35814Wiltshire Regiment05/06/1918 Age: 18 B. 32. United Kingdom Corporal 17913Royal Warwickshire Regiment26/06/1918 Age: 24 A. 10. United Kingdom Private 57503West Yorkshire Regiment (Prince of Wales's Own)22/07/1918 A. 21. United Kingdom Corporal 17689Wiltshire Regiment18/06/1918 Age: 28 C. 20. United Kingdom Private 65778Cheshire Regiment23/06/1918 B. 29. United Kingdom Corporal S/25580Seaforth Highlanders22/07/1918 Age: 21 A. 20. New Zealand Trooper 9/802Otago Mounted Rifles N.Z.E.F.29/07/1918 Age: 26 C. 41. United Kingdom Private S/22637Seaforth Highlanders02/08/1918 Age: 20 C. 7. United Kingdom Private S/23575Gordon Highlanders23/07/1918 B. 5. United Kingdom Private 42945Machine Gun Corps (Infantry)08/06/1918 Age: 22 B. 43. United Kingdom Gunner 72318Royal Field Artillery07/06/1918 Age: 31 C. 31. United Kingdom Private 10447Royal Warwickshire Regiment17/06/1918 Age: 40 B. 18. United Kingdom Private 17360South Lancashire Regiment02/07/1918 Age: 23 A. 37. United Kingdom Private 17544Royal Warwickshire Regiment17/06/1918 Age: 26 B. 16. United Kingdom Lance Corporal 238114Gordon Highlanders23/07/1918 Age: 19 A. 34. United Kingdom Lance Corporal 18288King's Shropshire Light Infantry06/06/1918 Age: 34 C. 32. United Kingdom Private 29566South Wales Borderers12/06/1918 Age: 22 A. 5. 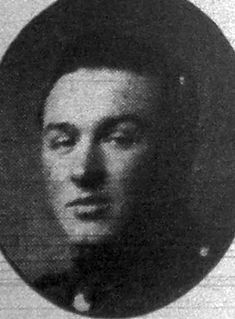 United Kingdom Second Lieutenant Durham Light Infantry22/07/1918 Age: 25 B. 14. United Kingdom Corporal 38099York and Lancaster Regiment24/07/1918 B. 2. United Kingdom Private 242948Royal Welsh Fusiliers02/06/1918 Age: 19 C. 24. United Kingdom Private 21459Yorkshire Regiment02/06/1918 A. 2. United Kingdom Private 269235Duke of Wellington's (West Riding Regiment)30/07/1918 A. 36. United Kingdom Private 27486Wiltshire Regiment04/07/1918 Age: 19 A. 38. United Kingdom Private 14165Duke of Wellington's (West Riding Regiment)24/07/1918 Age: 25 C. 12. United Kingdom Private S/16319Argyll and Sutherland Highlanders27/07/1918 Age: 37 C. 17. United Kingdom Private 65461Devonshire Regiment30/07/1918 Age: 37 C. 3. United Kingdom Private 241199Devonshire Regiment30/07/1918 Age: 18 C. 1. United Kingdom Private 57394West Yorkshire Regiment (Prince of Wales's Own)22/07/1918 Age: 23 C. 19. United Kingdom Private 103273Royal Army Medical Corps21/07/1918 Age: 33 B. 24. United Kingdom Company Serjeant Major 275030Argyll and Sutherland Highlanders21/07/1918 Age: 43 B. 27. United Kingdom Corporal 203046Wiltshire Regiment20/06/1918 Age: 37 A. 30. United Kingdom Private 352562Royal Scots24/07/1918 Age: 23 B. 4. United Kingdom Serjeant 325418Argyll and Sutherland Highlanders01/08/1918 C. 45. United Kingdom Private 203013King's Own Yorkshire Light Infantry28/07/1918 Age: 26 C. 28. United Kingdom Private 73305Machine Gun Corps (Infantry)05/06/1918 B. 30. United Kingdom Private 51878Cheshire Regiment01/06/1918 Age: 19 B. 39. United Kingdom Private S/1881Gordon Highlanders25/07/1918 B. 9. United Kingdom Private 202501Gordon Highlanders06/08/1918 C. 11. United Kingdom Sapper 184785Royal Engineers29/07/1918 Age: 35 C. 42. United Kingdom Bombardier 57428Royal Field Artillery13/06/1918 A. 13. United Kingdom Sapper 140014Royal Engineers02/06/1918 Age: 25 B. 23. United Kingdom Private 375749Durham Light Infantry02/06/1918 Age: 21 B. 22. United Kingdom Private 202502York and Lancaster Regiment27/07/1918 C. 6. United Kingdom Private 280598Labour Corps29/06/1918 Age: 32 A. 24. United Kingdom Private 41326Royal Warwickshire Regiment02/06/1918 Age: 20 C. 22. United Kingdom Rifleman 60931West Yorkshire Regiment (Prince of Wales's Own)30/07/1918 A. 32. United Kingdom Private 35460Wiltshire Regiment15/06/1918 Age: 19 B. 35. United Kingdom Private 201379Seaforth Highlanders01/08/1918 Age: 20 C. 5. United Kingdom Private 31608King's Shropshire Light Infantry08/06/1918 Age: 19 B. 42. United Kingdom Private 15055Royal Welsh Fusiliers15/06/1918 Age: 35 B. 36. United Kingdom Private 50622Royal Berkshire Regiment17/06/1918 Age: 19 B. 19. United Kingdom Gunner 772069Royal Field Artillery30/06/1918 Age: 21 C. 33. United Kingdom Lance Corporal 288104Gordon Highlanders26/07/1918 Age: 19 B. 13. United Kingdom Private 12427Northumberland Fusiliers12/06/1918 Age: 35 C. 27. United Kingdom Private 285392Seaforth Highlanders24/07/1918 Age: 20 B. 1. United Kingdom Private 67614Cheshire Regiment05/06/1918 Age: 19 A. 18. United Kingdom Corporal 306595Duke of Wellington's (West Riding Regiment)23/07/1918 Age: 22 B. 3. United Kingdom Private 23373Gloucestershire Regiment02/06/1918 Age: 19 A. 6. United Kingdom Private 201778Northamptonshire Regiment06/06/1918 Age: 24 B. 40. United Kingdom Piper 275104Argyll and Sutherland Highlanders26/07/1918 A. 31. United Kingdom Corporal 23452Border Regiment02/06/1918 C. 23. United Kingdom Private 42176Gordon Highlanders27/07/1918 Age: 18 A. 23. United Kingdom Second Lieutenant Argyll and Sutherland Highlanders22/07/1918 Age: 24 A. 7. United Kingdom Lance Corporal 350442Black Watch (Royal Highlanders)21/07/1918 Age: 20 C. 36. United Kingdom Private S/24044Black Watch (Royal Highlanders)21/07/1918 A. 27. United Kingdom Private 61573Northumberland Fusiliers21/06/1918 Age: 22 C. 25. United Kingdom Private 27955Hampshire Regiment25/07/1918 B. 7. 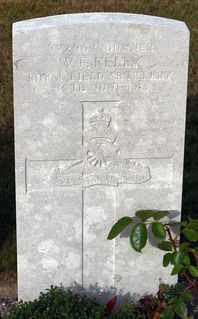 United Kingdom Private 26935Duke of Wellington's (West Riding Regiment)23/07/1918 Age: 33 C. 14. United Kingdom Private 39732West Yorkshire Regiment (Prince of Wales's Own)22/07/1918 Age: 20 A. 9. United Kingdom Rifleman 260164Monmouthshire Regiment23/06/1918 Age: 22 B. 28. United Kingdom Captain Royal Army Medical Corps16/06/1918 Age: 36 A. 15. United Kingdom Private 3/4767York and Lancaster Regiment29/07/1918 Age: 21 C. 30. United Kingdom Corporal 786514Royal Field Artillery26/07/1918 Age: 29 A. 11. United Kingdom Corporal 478705Royal Engineers07/06/1918 Age: 29 B. 34. United Kingdom Private 58072King's Own Yorkshire Light Infantry24/07/1918 Age: 19 B. 21. United Kingdom Private S/40776Seaforth Highlanders27/07/1918 Age: 21 B. 11. United Kingdom Lieutenant Colonel Royal Army Medical Corps07/06/1918 B. 20. United Kingdom Private 22402Duke of Wellington's (West Riding Regiment)21/07/1918 Age: 19 A. 3. United Kingdom Private 203029Gloucestershire Regiment20/06/1918 Age: 36 A. 28. United Kingdom Private 202355Hampshire Regiment22/07/1918 Age: 37 C. 15. United Kingdom Serjeant 201941Gordon Highlanders13/08/1918 Age: 24 A. 22. United Kingdom Private S/23441Argyll and Sutherland Highlanders23/07/1918 Age: 18 C. 38. United Kingdom Staff Serjeant L/3738Royal Field Artillery07/06/1918 Age: 36 C. 43. United Kingdom Lance Corporal 36939Gloucestershire Regiment14/06/1918 Age: 26 A. 29. United Kingdom Private 45444South Staffordshire Regiment17/06/1918 Age: 20 C. 18. United Kingdom Private S/24928Seaforth Highlanders26/07/1918 Age: 19 A. 33. United Kingdom Private 265545West Yorkshire Regiment (Prince of Wales's Own)21/07/1918 Age: 23 A. 26. United Kingdom Private S/24693Seaforth Highlanders02/08/1918 Age: 18 C. 9. United Kingdom Private 109101Sherwood Foresters (Notts and Derby Regiment)13/06/1918 Age: 19 B. 17. United Kingdom Nurse First Aid Nursing Yeomanry (F.A.N.Y. )24/08/1918 A. 40. United Kingdom Private 240497Devonshire Regiment02/08/1918 Age: 32 C. 8. United Kingdom Lance Corporal 202138Seaforth Highlanders26/07/1918 Age: 20 C. 21. United Kingdom Private 36148King's Own Yorkshire Light Infantry21/07/1918 Age: 20 C. 37. United Kingdom Lance Corporal 47757King's Own Yorkshire Light Infantry26/07/1918 B. 12. United Kingdom Private 36961Wiltshire Regiment08/06/1918 Age: 19 C. 35. United Kingdom Private 234420Gordon Highlanders21/07/1918 Age: 18 C. 13. United Kingdom Corporal 33051Royal Engineers13/06/1918 Age: 23 A. 14. United Kingdom Private 201163King's Own Yorkshire Light Infantry21/07/1918 Age: 28 B. 26. United Kingdom Private 88924Durham Light Infantry06/06/1918 Age: 32 A. 12. United Kingdom Private 44582Gloucestershire Regiment09/06/1918 Age: 19 A. 1. United Kingdom Private 201514York and Lancaster Regiment01/08/1918 Age: 20 C. 4. United Kingdom Private 38242Royal Warwickshire Regiment04/06/1918 Age: 19 B. 31. United Kingdom Gunner 138474Royal Field Artillery04/07/1918 Age: 23 A. 39. United Kingdom Private 243054King's Own Yorkshire Light Infantry21/07/1918 Age: 26 C. 29. United Kingdom Serjeant 9894Seaforth Highlanders24/07/1918 Age: 34 B. 6. United Kingdom Private 66192Cheshire Regiment08/06/1918 Age: 19 C. 39. United Kingdom Rifleman 61989West Yorkshire Regiment (Prince of Wales's Own)24/07/1918 Age: 19 B. 10.